General purpose cermet with superior wear resistance and toughness for steel and stainless steel finishing. 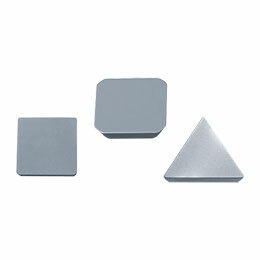 Kyocera is known as a leading manufacturer of cermets. Cermet is a composite material combining Ceramic and Metal. Typical materials used in cermets are TiC, TiN, TiCN and NbC. Designed to provide long tool life and excellent surface finishes, cermets combine toughness with superior wear resistance.